Realis Pencil 110 sets a standard for all walking baits. The reinforced, thin wall construction aids the creating more internal volume to the body cavity. The consequence is excellent durability, high buoyancy and a further acoustic range. At first glance, the Pencil looks round and linear like other walking baits but closer examination reveals the body shape is oval with flat areas giving it superior aero dynamics for its size. The intelligently designed ballast system not only gives the lure superior casting range, it provides additional services. It has a dual weight configuration. One weight is fixed and the other is positioned to move on a track. 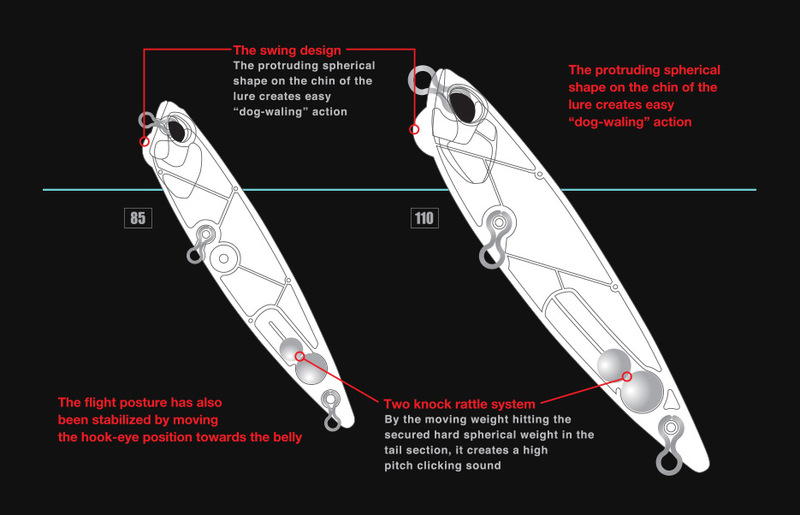 This gives the lure a superior tacking action. “Tacking” is the side to sidetracking cadence also known as “walking the dog”. The impact of the weights also creates an amplified dual tone. 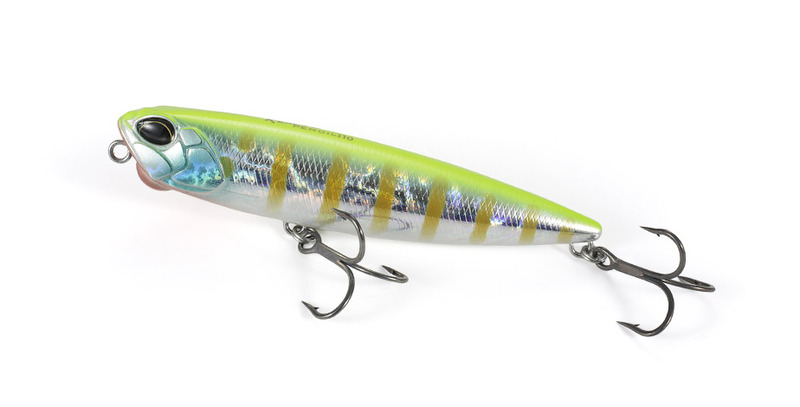 This high pitch can be heard from extreme distances giving the lure more calling power. The innovative Pencil 110 provides an angler with the ability to reach his target in a single cast, immediately initiate walking-action, and “call” the fish from greater distances.